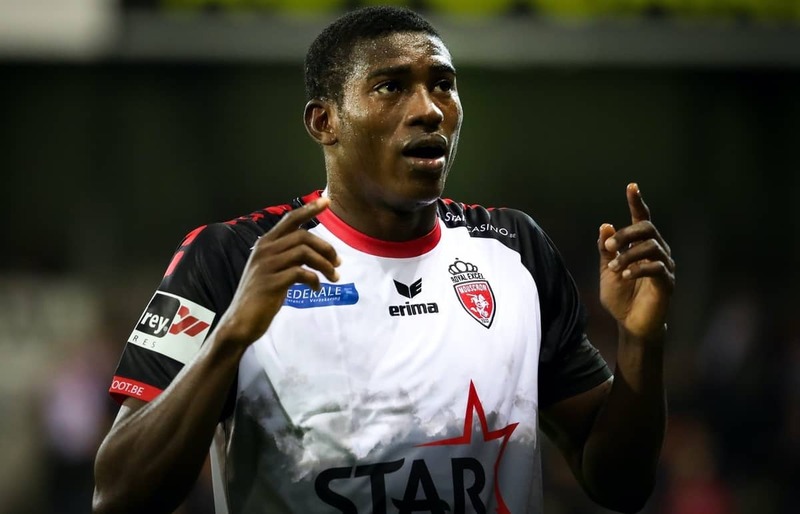 Nigerian and Liverpool striker Taiwo Awoniyi is having an excellent season on loan at Royal Excel Mouscron, he is currently the highest goal scorer for the modest Belgian club with 10 goals in 31 appearances. The 20-year-old is likely to be sent on loan to another club next season to continue his development, the parent club Liverpool would prefer him to join a club campaigning in the UEFA Champions League or even the Europa League this time around. The young Nigerian has settled quite well in Belgium, his excellent displays for Mouscron has already earned him a fresh contract at Liverpool and attracted interests from top Belgian clubs like Brugge and Anderlecht. Both clubs meet Liverpool’s requirements for a loan move since they will be competing in either the Champions League or the Europa League next season, this is a key factor in the next step of his developmental process. Hopefully after the loan next season, he would qualify for a UK work permit to enable him to play in England and also prove his worth to Jurgen Klopp in the long term. Awoniyi will likely prefer to remain in Belgium to continue his career growth. The former youth international was missing in his club 4-1 defeat to Zulte-Waregem in the Belgian play-offs due to an injury he picked up in their previous game against Kortrijk.